Ibuprofen is a non-steroid anti-inflammatory drug (NSAID) that relieves pain, fever, and swelling. 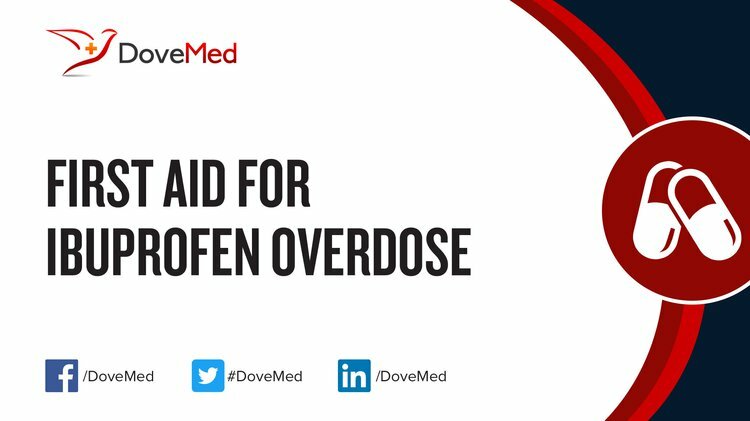 Ibuprofen Overdose is the accidental or intentional intake of the drug in dosage higher than prescribed values. What are the Causes of Ibuprofen Overdose? What are the Signs and Symptoms of Ibuprofen Overdose? The signs and symptoms of Ibuprofen Overdose can vary from one individual to another. It may be mild in some and severe in others. Several systems of the body, such as the digestive system, nervous system, vascular system, respiratory system, skin and ENT may be affected. How is First Aid administered for Ibuprofen Overdose? Who should administer First Aid for Ibuprofen Overdose? First aid for Ibuprofen Overdose is administered by healthcare professionals. What is the Prognosis of Ibuprofen Overdose? Ibuprofen Overdose is usually not a life-threatening condition and once symptoms are managed, the prognosis is good. How can Ibuprofen Overdose be Prevented? Auriel, E., Regev, K., & Korczyn, A. D. (2014). Nonsteroidal anti-inflammatory drugs exposure and the central nervous system. Handbook of clinical neurology, 119, 577-584. Levine, M., Khurana, A., & Ruha, A. M. (2010). Polyuria, acidosis, and coma following massive ibuprofen ingestion. Journal of medical toxicology, 6(3), 315-317. Argentieri, J., Morrone, K., & Pollack, Y. (2012). Acetaminophen and ibuprofen overdosage. Pediatr Rev, 33(4), 188-189. Arencibia, Z. B., & Choonara, I. (2012). Balancing the risks and benefits of the use of over-the-counter pain medications in children. Drug safety, 35(12), 1119. Akingbola, O. A., Singh, D., Kleinman, J. A., & Frieberg, E. M. (2015). Functional adrenal insufficiency complicating an overdose of naproxen and ibuprofen. Clinical pediatrics, 54(1), 76-78.
s Bushra, R., & Aslam, N. (2010). An overview of clinical pharmacology of ibuprofen. Oman medical journal, 25(3), 155. Lodise, M., De-Giorgio, F., Rossi, R., d’Aloja, E., & Fucci, N. (2012). Acute ibuprofen intoxication: report on a case and review of the literature. The American journal of forensic medicine and pathology, 33(3), 242-246.